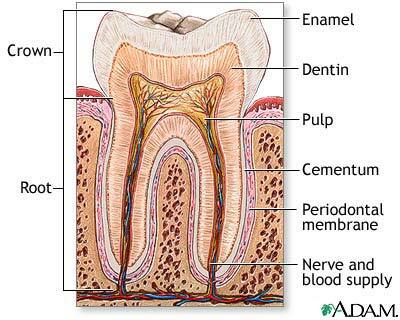 Dental pain or tooth pain can be so detrimental that loss of work, school or daily activity can be seen. The pain itself can very depending on severity and cause. It could be a daily occurrence but is very minimal. At other time, the pain could be stabbing and severe. There are several different causes of dental pain that don’t always have to do with the teeth itself. Dental Pain can be in the tooth itself, the gums, the surrounding soft tissue of the face, the Eyes, , the tongue, the facial bones, and even the local lymph nodes. Pain has been described as constant, sharp, pulsating, deep, or intermittent. Pain can be encountered when chewing, or sleeping, with hot and/or cold contact. Pain can begin suddenly or worsen over time. – Dental Cavity is the number one reason for dental pain. – The second most common cause of pain is Gum Disease. Often an appointment with a Dentist is essential to determine cause of pain. Understanding the true cause will help with the treatment process. The treatment of one cause may be far different than another.